Unassociate File Types for Windows 10 - A functional technology designed to manage file associations. The software analyzes existing links and presents them in the form of a table from which it will be possible to delete an element, process it. Installing software is not required, can work with removable media. The application has an intuitive user interface. It is possible to run the program offline in parallel with the operating system. This is a great tool to edit, copy and format files that have the .lnk extension. 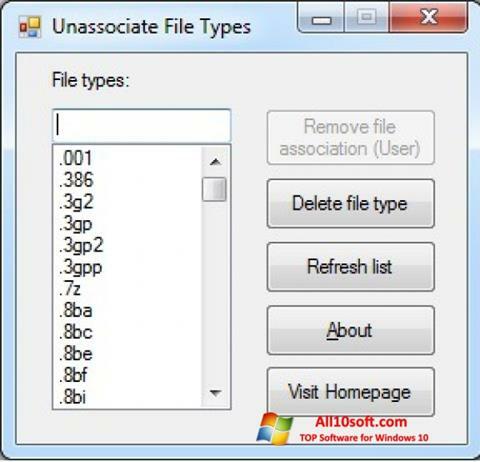 You can free download Unassociate File Types official latest version for Windows 10 in English.